Russian lawmakers have introduced a new bill that, once passed, would increase the punishment for terrorist activities to life in prison. The sponsors of the bill also aim to increase the punishment for a number of terrorist related activities from 10 to 20 years in prison. Some of the proposed amendments to the articles of the Criminal Code will alter the punishment to life imprisonment. Presently, Russian law provides that the acts of terrorism are punished with up to 20 years in prison only if they cause the loss of human life or involve the use of nuclear or radioactive materials and devices. 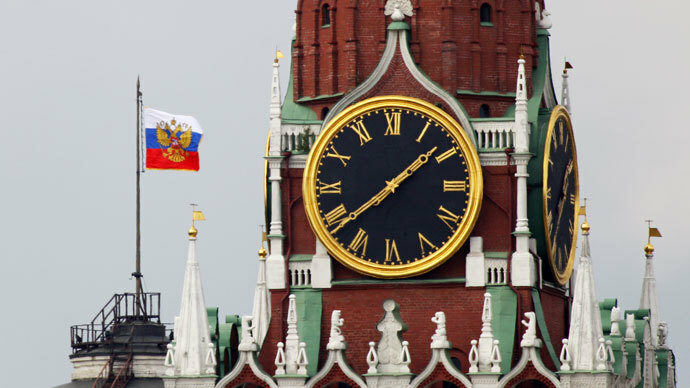 The new amendments introduce sentences of up to 20 years or even life sentences for “organizing and committing crimes of a terrorist nature and for organizing financial terrorism,” Irina Yarovaya, the head of the Duma Security Committee, told the Interfax news agency.The MP said she expected the Duma to consider the new amendments “as a priority,” as the country has witnessed a number of terrorist attacks. Liberal Democratic Party lawmaker Andrey Lugovoy told Ria Novosti, that the proposed amendments will not only toughen the punishment for those committing terrorist acts, but would also seek tougher sentences for people involved in their preparation and training, as well as propaganda of such extremist activities. Lugovoy added that the bill proposes to exclude any possibility of softer punishment for a terrorist crime, such as a suspended sentence. 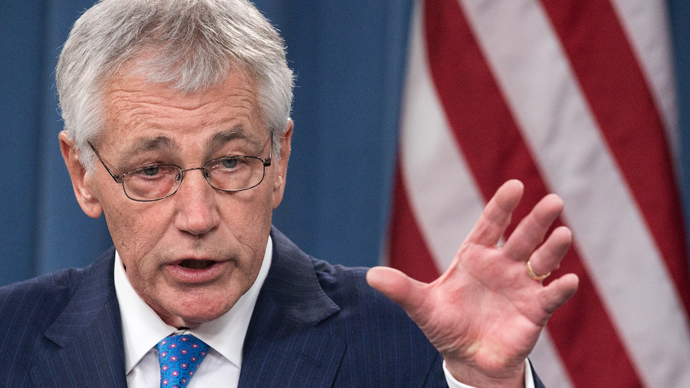 The statute of limitations will not apply to terrorist crimes. 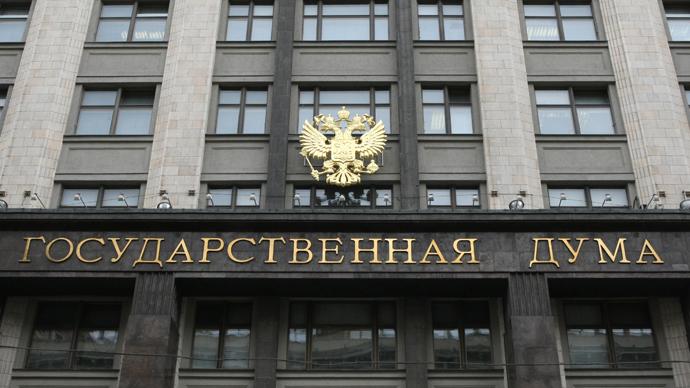 Duma deputies also seek to expand the mandate of the FSB, the Russian security service, to allow it not only to check identity documents, but also to carry out searches on suspected citizens and vehicles. “Now we are increasing their powers and they will be able to not only check documents but also to search people and to inspect vehicles,” Lugovoy said. To combat the financing of terrorism, lawmakers seek to reduce the sum of one-time money transfers using internet payment systems, from 40 thousand rubles to one thousand, and also seek to introduce necessary ID checks at the time of the transaction for both the sender and the receiver of the funds. Another set of amendments concerns the federal law on information and data protection. It obliges all companies and private persons that organize the spreading of information or data exchange between users on the internet to keep logs of all user activities for six months, and provide the information to law enforcers in a way described by federal laws. In December, two suicide bombings in a railway station and a trolley bus in the southern city of Volgograd killed 34 people. 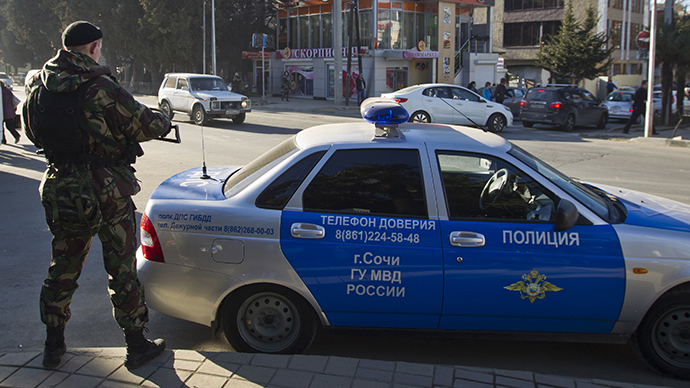 Three police officers were killed in a car bombing in December in the resort city of Pyatigorsk. 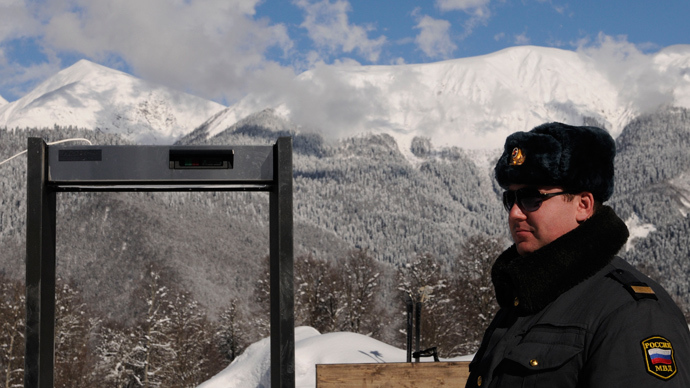 Ahead of February’s Winter Olympics a number of preventative terrorism measures have been introduced to protect spectators in Sochi. Starting last Saturday, airport passengers have also been banned from having any type of liquids in their carry-on luggage. To provide security for spectators, Russia will deploy surveillance drones, which will be used for the first time at the Olympics in Sochi. In addition, two sonar systems to detect submarines and protect the Olympics from a seaborne terror attack will be used. More than 40,000 police will be on duty, and more than 5,000 surveillance cameras installed across the city to help the counterterrorism effort. “All security is in place. And I want to assure you that despite the global threat of terrorism, here in Sochi everybody will be protected,” the head of the Sochi 2014 Organizing Committee, Dmitry Chernyshenko, told RT.